Ciaran McAuley is starting 2018 with an amazing single ‘Serengeti’. Teaming up with talented DJ & producer RAM, both delivering a massive tune with an enchanting and hooking melody accompanied by tribal vibes that builds up to an epic climax. ‘Serengeti’ will take you on an endless trip, let's get lost in it! Ciaran is definitely on the rise so we are happy that he has found some valuable time to reply in our questions. Read it all here..and enjoy! Dimitri: When did you start your involvement with electronic dance music and which music style you are more affiliated with and why? Ciaran McAuley: Funny the terms “Electronic Dance Music” only started being thrown about when Dance music blew up in the states and Djs didn’t want to be pigeon holed.. but I started producing about 10 years back with old studio partner Mark Reynolds under Walsh&McAuley. I’ve always had a broad taste in music from as far back as I can remember were most, including my friends go down the Techno and House road, I’ve stood by my Trance but still love a Techno or Progressive night out. Dimitri: Did you had the opportunity to attend any kind of music production course or are u completely self taught? Do you consider that is essential for any artist to complete any production course? Dimitri: In which label was your first ever release and how did you manage to attract the attention of the label? Ciaran McAuley: My first release was “It Doesn’t Rain Forever” on Giuseppe Ottaviani’s GO On Air Recordings, Giuseppe has always been a friend from my Walsh&McAuley days, let’s just say he was one that was always honest/brutal with his feedback!! Dimitri: Let's focus on Serengeti with RAM. Please tell us from where did you got the inspiration for the track? 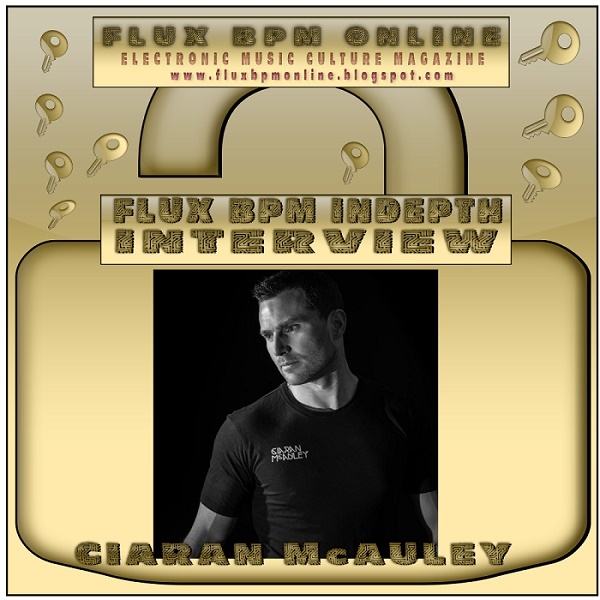 Ciaran McAuley: I started working with Grotesque Music a year or so back and becoming very close with label boss RAM he approached me about doing a collaboration. I remember the day he sent me this African theme asking my thoughts, would this work? I loved it! I’m a huge fan of film scores and I could hear so much with the African vocal, I was super keen to get started. Dimitri: Which was the biggest challenge that you faced during the production of this superb track? Ciaran McAuley: The biggest challenge was picking which sound/style to go with. I had several directions with this track but I think we’ve went with the correct one?! Dimitri: Is the quality of this track higher than your previous one? If yes in what ways this track sounds better than your previous one? Ciaran McAuley: This is a tricky question, I do feel I am constantly progressing and times I look back and pick holes in each production but for now I need time away from this track! Dimitri: Do you have any friends or relatives that you send them the track before sending it to a label or if you are DJ did you test it in your gigs? If yes did you have to do any alterations as a result of the crowd reaction? Ciaran McAuley: Yes, I have a bunch of close friends who I like to send my music to. Sometimes they get a hash whatsapp recording from my studio when I’m buzzing. Dimitri: Please describe to us the studio that you have produced the track? What is your favourite hardware and software set up? Do you have in mind any new gear that you wish to get in order to raise the quality of your production? Ciaran McAuley: This is a good question especially for those wanting to start out! People think you need all this expensive equipment, but I’ve got to where I am now, several top tens and endless support on the biggest stages around the globe from my box room and a few plug inns. Only recently I’ve started to think, time to invest. Dimitri: Do you have any future releases planned and when will be released? Dimitri: Do you have any more DJ gigs planned for the next few months? Ciaran McAuley: You can catch me at these spots over the next few weeks, 3rd Feb Trancecoda @ The Box, Birmingham, 16th Feb Luminosity Trance Gathering @ Pamana, Amsterdam, 17th March Pure Trance @ Lush! N.Ireland, 24th March Spring Fest @ Voodoo, Dublin, 30th March Club Republic @ Equinox, Leicester. Dimitri: Can you offer us here your tips or more elaborated advice for any new artists who may read this interview and wish to get involved with the electronic music industry.